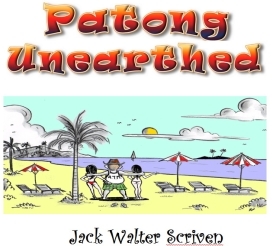 PATONG UNEARTHED is an essential survival and travel guide for holiday makers to Patong, and future travellers to Thailand. Unlike other books that gloss over many topics, this book tells it as it is, warts and all. Some people may not like some of the topics covered in the book but it’s the truth, and that’s what people want to hear. My book was written using my former expertise as an Australian Police Officer of 16 years, and a keen overseas traveller, having travelled to some 15 countries world wide. I write it from a police perspective, thus looking to avoid a potential problem before it arises. I have lived a number of years in Phuket and speak candidly in this book about mine, and other peoples experiences whilst on holidaying in lovely Phuket. I will update the book in April each year, so as to give the readers accurate information. I have used my combined experience to help others before, and I wish to continue to help others through this book. The 40 odd chapters cover such things as Thai culture, Thai food, recommended places to see, travel discounts etc. also contained within the book are names of people who perform a variety of businesses that are personally known to the writer and can be recommended. They can be contacted from overseas prior to arrival in Phuket as their personal phone numbers or email addresses are listed. As the need arises the writer will include further chapters that will continue to enhance its quality in future years.